Previous edition: London: Doubleday, 2007. The New York Times and Sunday Times bestseller'A novel of breathtaking scope' Guardian1939. Nazi Germany. The country is holding its breath. Death has never been busier. Liesel, a nine-year-old girl, is living with a foster family on Himmel Street. Her parents have been taken away to a concentration camp. Liesel steals books. This is her story and the story of the inhabitants of her street when the bombs begin to fall. 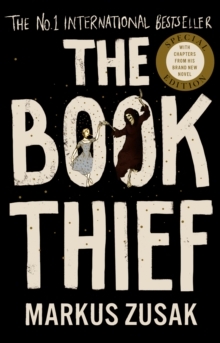 SOME IMPORTANT INFORMATION - THIS NOVEL IS NARRATED BY DEATHThis new edition features exclusive early chapter from Markus Zusak's brand new literary novel BRIDGE OF CLAY, out this October 2018.